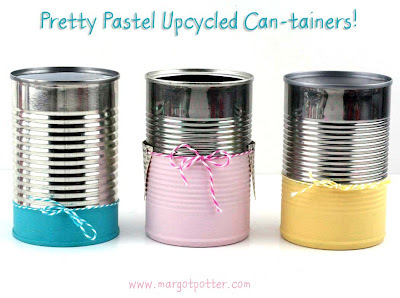 When Avalon started saving tin cans for a project, I really wasn't sure what she had in mind. But once I saw these super cute upcycled can-tainers, I was instantly smitten. 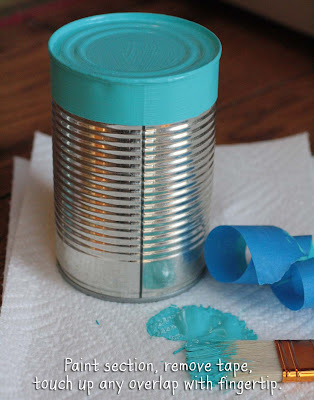 These pastel colors are easy to mix by combining your Crafty Chica Little paint colors with white. 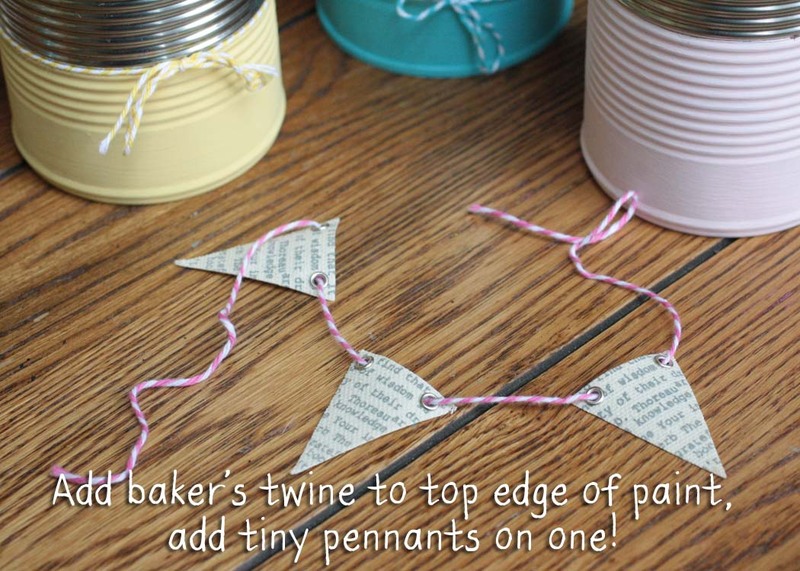 Use Aleene's Tacky Glue to attach the matching baker's twine to the top of your painted area. Add liners if you like, toss in your toothbrush, make up brushes, combs...whatever clutters your sink top or vanity. Mess managed, adorably! Remove labels and any leftover adhesive before starting. Tape off section you wish to paint with blue painter's tape. Paint section with brush, one to two coats. 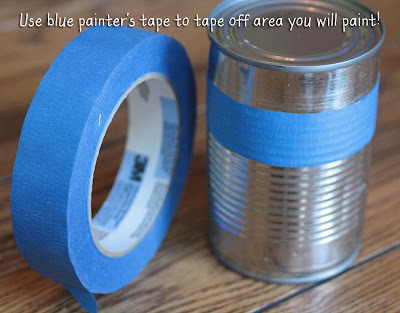 While paint is still tacky, remove tape and use a finger tip or cotton swab to gently remove any overlap. Allow to dry. Add baker's twine in coordinating color to top of painted edge. Run a thin line of Aleene's Tacky Glue underneath to secure twine. Avalon added some tiny pennants to one can for fun. That's it! How simply fabulous is that?